We have been seeing the Ford Ecosport SUV from the outside all through. We had a real glimpse of the SUV at the Auto Expo held in New Delhi this year but now more details regarding the interiors of the new Ford SUV for India have come up. Meanwhile we have witnessed some of the test mule pics as well. The Ford Ecosport that is expected to reform the Indian SUV market as even before its launch, the compact SUV market in India is gearing up for bumper sales. 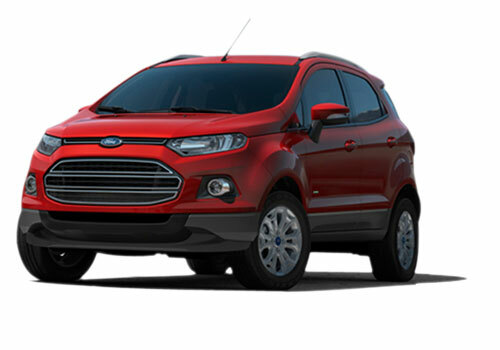 The new Ford Ecosport price is expected to be Rs 8.5 lakh and a late this year or early 2013 launch is what is expected. As the Ecosport will rival the soon to be launched Renault Duster that is also expected to be priced similarly, it has to be well powered and offer a lot of features as well as must have looks (that it already have). Recently, some spy shots that have come up suggest that that the interiors are somewhat akin to that of the Ford Fiesta sedan on which this SUV is based. The instrument cluster also seemed to have a lot of colors. There is also an economy meter that tells the driver about the mileage the Ecosport is offering in the present driving pattern condition. The Ecosport also has a start stop button that shows that keyless entry that has become almost a standard feature in cars is on the SUV as well. Besides, there will also be a lot of chrome finishing around. The interior looked well knit with quality plastic use and there seemed to be a dual zone climate controlled air conditioning inside the Ecosport. The boot seems to allow ample storage space for excursions while seating five adults comfortably. Overall, at this expected price the Ecosport seems to be the best and affordable SUV in India. The Ecosport launch is what is awaited and not the spy pics. The launch of EcoSport SUV will definitely prove a milestone in the company’s India operations. 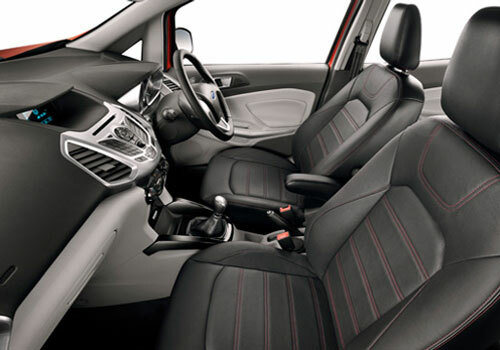 Ford EcoSport is loaded with Great features.